If Twitter is any gauge of consumer sentiments, the International House of Pancakes’ announcement Monday that it was changing its name to the International House of Burgers (colloquially: IHOP to IHOb) hasn’t exactly been met with a warm embrace. Granted, as many media outlets have ventured, the name change is temporary. It’s merely an effort by the 60-year-old chain to stoke everybody about its new “steak burgers” amid flattening pancake sales. In other words, the switch is just a play for attention. Boy, did it generate that. The name change also left the door open for rival restaurant chains to get their zingers in. Perkins pointed out that it’s “been cooking up classic burgers for 60 years … no need to change our name to prove it.” And Burger King mockingly changed its name to Pancake King. Say what you will about IHOb, the announcement did generate tens of millions of impressions for the company and no shortage of media attention. So if the name’s clunky, the marketing’s pretty smooth. 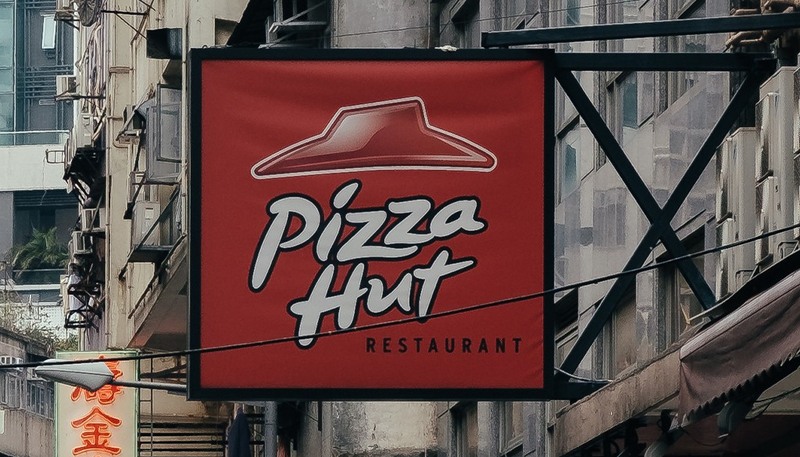 But all of that was nearly a decade ago and, last we checked, Pizza Hut was still just Pizza Hut. In May of 2016, as the summer Olympics, the America’s Cup race, and the fall elections approached many Americans in America were feel especially American—which is apparently what prompted Budweiser, the most American of American beverages, to change its name to… America. Never mind that “America” can’t be trademarked, and that it’s generally thirst and barbecues—not patriotism—that gets people to reach for Budweiser. The move was hailed in marketing circles as a decent enough idea. After all, summer is when beer sales pick up anyway, and what better brew to tear open on the Fourth of July than one called America? Way back in 2011, when some consumers still liked to rent DVDs but video streaming was obviously the future, the brass at Netflix made the fateful decision to split its service in two. From July 11 forward, customers would have to choose between two different services. Netflix would continue to serve customers who wanted their videos streamed, and those who still liked to get DVDs sent to them in the mail would become the customers of a new brand called Qwikster. It would be a name change that would end up being changed back—very, very qwikly. The split wasn’t just confusing, it forced some 12 million customers who liked both services to ante up for two different accounts, each with its own domain names and (higher) fees. The consumer revolt began immediately. Within two months, the company’s stock had lost half its value. All told, some 800,000 subscribers fled. By September 18, founder Reed Hastings admitted in a blog post that he had “messed up.” Qwikster was led out behind the barn. Eighteen years ago, British Petroleum launched a $200 million rebranding campaign aimed at getting consumers to view the oil giant as being environmentally friendly. The result: Beyond Petroleum. It wasn’t a formal name change, (Technically, British Petroleum became BP Amoco in 1998, and then just BP in 2000) but the import was clear. Since many people didn’t really know what BP stood for anyway, Beyond Petroleum was a pretty clever swap in, even if it was just a tagline. Regrettably, it wasn’t such a hot idea. A series of environmental disasters, including the 2005 explosion at BP’s Texas City refinery, a 2006 pipeline leak at Alaska’s Prudhoe Bay, and the 2010 explosion of the Deepwater Horizon offshore rig in the Gulf of Mexico spattered oil all over the company’s image. By 2013, the company’s decisions to divest itself of its holdings in solar and wind power made it pretty clear that BP wasn’t really moving beyond petroleum at all. These days, a search for “beyond petroleum” on BP’s website yields no results.